Alastair Sutton has been immersed in European Union Law for nearly 50 years, as an academic, EU official and as a practitioner. His practice is primarily advisory and covers a broad spectrum of EU law issues, in particular the internal and external law of the Single Market. 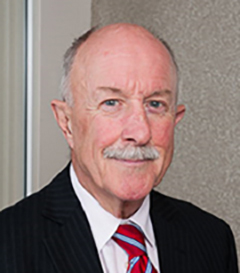 Alastair Sutton was the legal advisor to the Commission Vice President responsible for the launch of the Single Market project between 1985 and 1990 and his legal practice over the last 25 years has reflected this experience. Alastair Sutton advises both private entities and Governments (including those outside the EU) on a wide range of EU law areas including EU constitutional law, the internal and external law of the Single Market (especially financial and related services), business taxation, competition, state aids, external relations, energy, environmental protection and international economic law. He has experience in appearing before the European Courts and also assisting in domestic litigation. In addition to his legal practice, Mr. Sutton has taught European law in Universities around the world. He has also advised regional organisations in Africa and the Pacific on the legal aspects of market integration, using the EU’s Single Market project as a model. Currently, Mr. Sutton’s practice is heavily influenced by the UK’s decision to leave the EU and the implications of this decision for governments and the private sector, under EU, UK and international law.